Interviews are so incredibly stressful. I’m convinced that this is where the term “cold sweat” came from :). But, there are a few SIMPLE (I promise!) things that you can do to make sure YOU have a successful interview, no matter what the job. 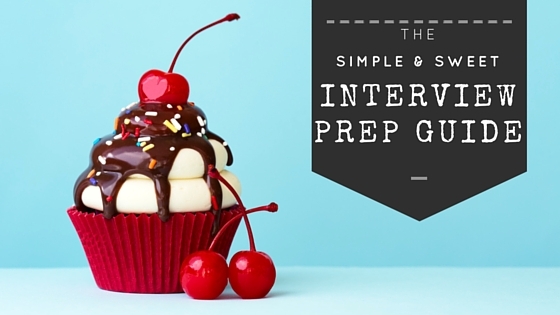 So use this easy interview prep sheet for help. Ready? Here we go! Step 1 of the Interview Prep Guide: Get in the right frame of mind. Okay, first off – no matter how much you want or need a job, a job interview is still a two-way street. You are interviewing them JUST AS MUCH as they are interviewing you. If you want to be happy at this company then you need to have your hat of judgement on while you are there. Don’t feel like the power is just in their hands – it’s in yours as well. And if you can embrace the idea that it’s important that you like them too, you’ll walk in with so much more confidence (and better questions!). But no matter how confident you are, you might be nervous too because…you are human. 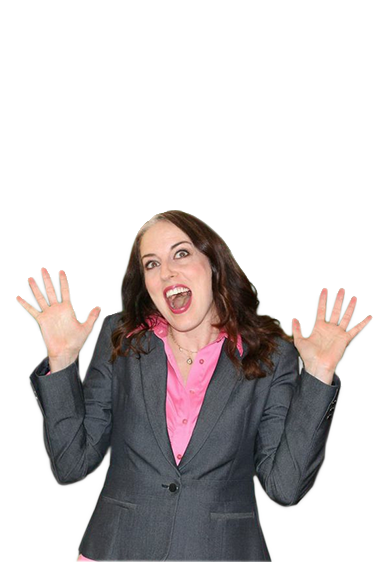 Don’t forget to do a power-pose in the elevator or bathroom before you walk in to the interview. It’ll trick your brain into being more confident, and other people (re: your interviewers) will see you as more worthy. Before you practice any interview questions, make sure that you do a little research on the company. Obviously you’ll look at their LinkedIn page, their Facebook page, and their website, as well as www.glassdoor.com for any hidden secrets. The best source of information is your personal network, nothing beats talking to someone who already works there (need help with that? Here are some resources to get you going). As you research, notice what words you see again and again. Each company develops a language or a shorthand, and if you can use even a little bit of it during your interview, they will start to feel like you get them – like speaking their language you are (because…yay! You are!). 1. Why are you leaving your current job (or if you already left, what happened?). The trick in answering this is to be positive. You could work for the worst boss in the world and be ready to jump out of a window, but you can’t talk about that. A good answer is future-looking “I’m ready for a new challenge” “I’m in love with your mission and I wanted to do work that was more mission-focused” “I’m ready for more responsibility and my current company is too small for further promotion” etc etc. If you are currently unemployed, talk about all the great things you’ve been doing with your time, and how that will only make you an even BETTER candidate now. It doesn’t matter if it was your choice to leave, only that it was your choice to make lemonade out of lemons. But really, why do you want it, and what makes you so special? Think about what you’ve learned in your research and what draws you to the company. Here’s a wonderful time to draw your interviewer in with your passion statement (if you don’t know your passion statement, here’s my #1 tool to help you figure it out!). Mostly, speak from your heart and your excitement – find something about the work that genuinely excites you! 3. What’s your big failure/weakness/something that makes you uncomfortable? Companies ask this question because they want to see how you handle mistakes. It’s okay to admit to a failing and cop to not doing something correctly – but you need to show that you’ve learned from it. So think about a work or life incident that is relevant to the job and show how you grew from the experience. Companies know you are human and will make mistakes – but they also want to know that you can fix them when they happen. Make sure to bring some great questions to the interview. Some will come to you in the moment, but you want to walk in with a few in your pocket in case you draw a blank. Good questions are substantive, and focused on the work. 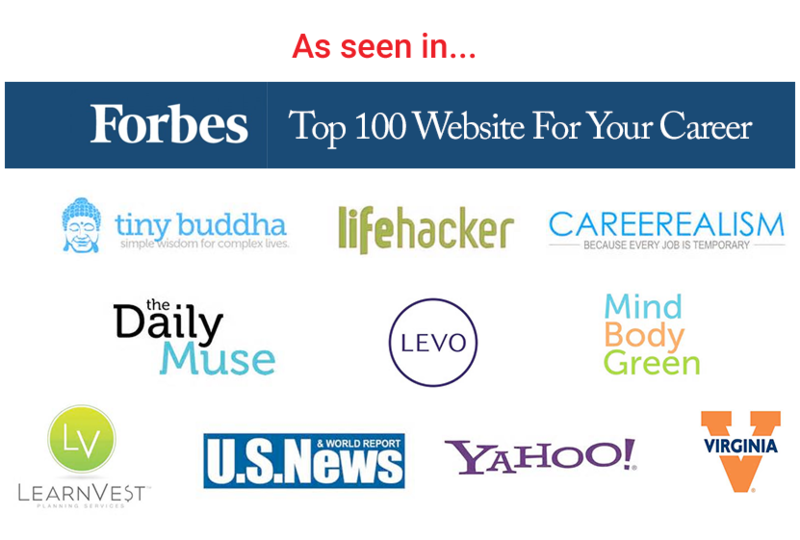 These show you are engaged and interested in what you’ll actually be doing. Bad questions are vague, and focused on the benefits. These show you are all about the perks, and not about the job. Tell me more about health care and vacation – how much time off do I get? What is it that you personally love about working here? What is the company’s next big focus in the coming year? How would you describe the culture/environment here? Lay out your clothes, pull out a map, and make sure you know how long it’ll take to get to the interview, and then add at least 15 minutes. Getting there early is always okay. Getting there late never is. Should you send one? YES. Here’s a post on exactly what to say, but remember to keep it personal, and not just generic. Reference something in the conversation that you had so the interviewer knows you remember them and were paying attention. And voila! 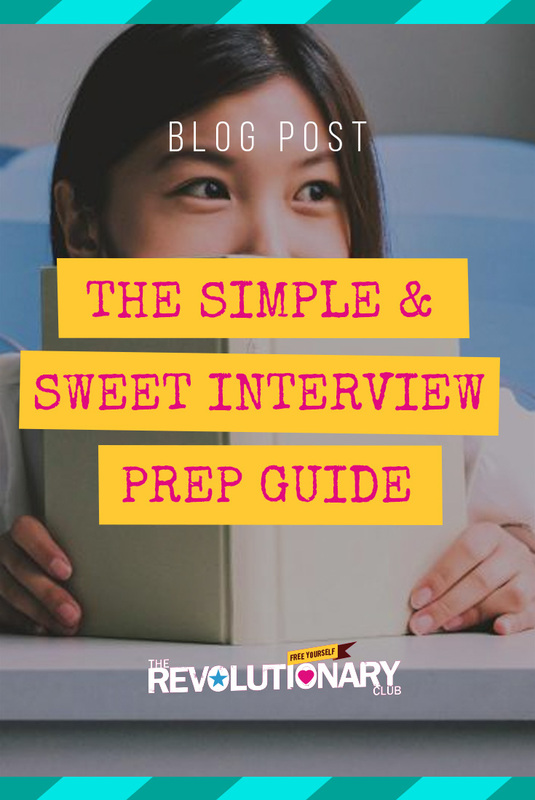 Such a simple interview prep guide, no? You can do this!